For the married couples Anniversary is one of the remembered day as this specific date they got married and began their couple life. Here present you people some of the best anniversary quotation, messages and wishes. Hope you will have a joyful and sweet anniversary with your loved ones. 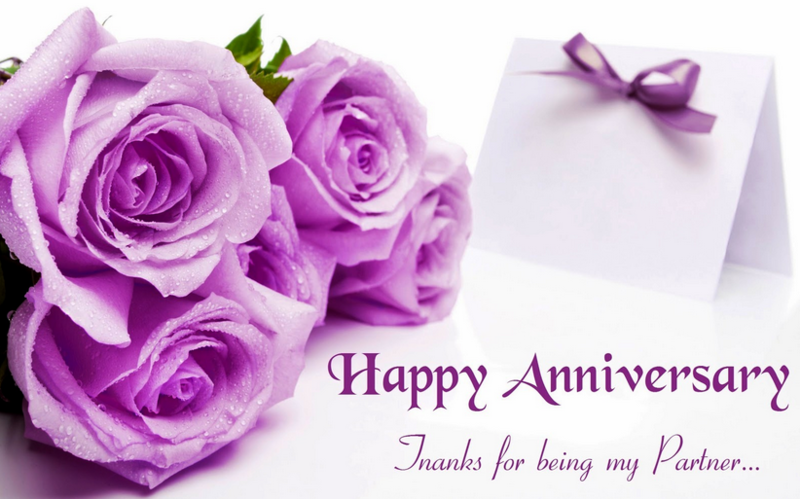 Anniversary is the special day and loving day for husband and wife. So, it’s the day to have fun with your partner. 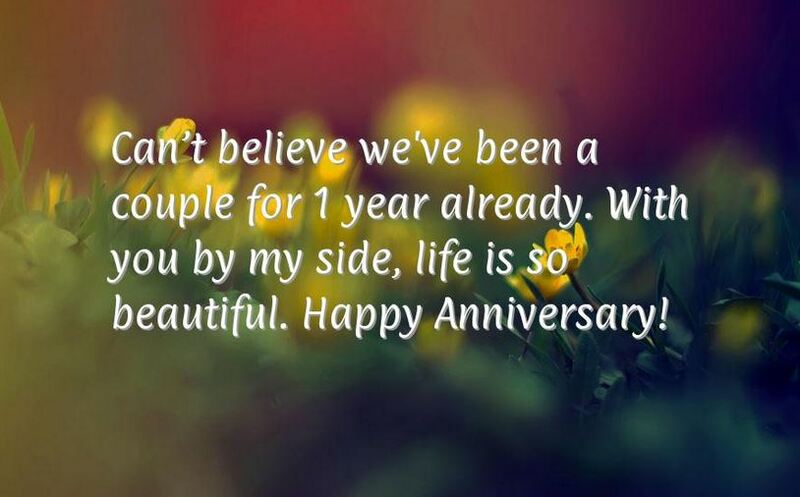 If your any dear one anniversary is coming and you are searching for best anniversary wishes then your words should be inspiring isn’t it? So here we come with some anniversary wishes, quotations and messages written down with all your feelings in words. Now choose among these beautiful Anniversary quote, messages and them to your lovely friends or partner. 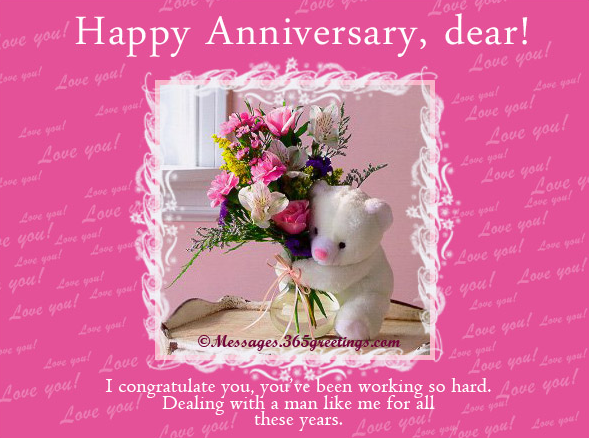 These Anniversary messages are for wives, husbands or your friends whose marriage anniversary is on doorsteps. Enjoy. My life revolves around yours to the extent that your smile brings sunrise, tears bring thunderstorms and laughter brings rainbows. Happy anniversary dear. Our anniversary celebration does not have the colorfulness of pinatas, grandeur of fireworks or the thump of loud music. But it has the colorfulness of our beautiful memories, grandeur of our timeless love and thump of our hearts beating for each other… forever. Happy anniversary. My heart was forever stolen on the day we got married but the only thing different in this robbery is that I knew the robber. I knew he would take good care of it forever and ever. Happy anniversary, to my handsome thief. Even though I have a million imperfections, you’ve always made me feel perfect. Even though I have a thousand flaws, you have always made me feel flawless. Even though I’ve made hundreds of mistakes, you have always made me feel as if I am the best. Happy anniversary. Our house would never have become a home without you. Our kids would never have understood the meaning of family without you. I would have never experienced love without you. As you can see… my universe is incomplete without you. Happy anniversary. Happy anniversary to the reason behind my happiness, the reason for my success, the reason for all my smiles, the reason our marriage has lasted many a mile. I love you my soulmate. Some husbands dedicate songs, some dedicate a Facebook page and some dedicate a gift to their wives on a wedding anniversary. I have kept it simple and dedicated my whole life to you, sweetheart. Happy anniversary. You are the foundation on which the tower of my professional success rests. Happy anniversary to my wife, thanks for all your support. One of the best memories of a couple is not just the magic of their first kiss but the magic they create every time they kiss for the rest of their lives. Happy anniversary. Most married couples hear each other’s words, you listen to each other’s heartbeats. Most of them admire each other’s looks, you compliment each others soul. Most of them commit to each others lives, you have committed to each others dreams. Happy anniversary to an awesome couple. 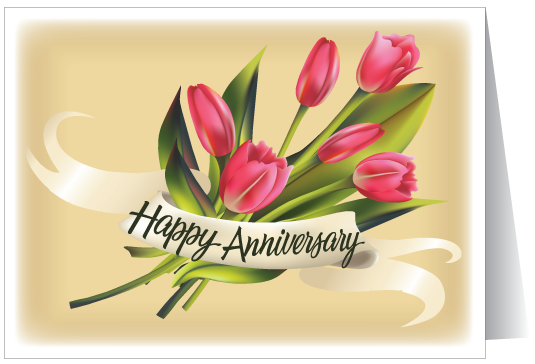 Anniversaries are reminders of the promises that couples have fulfilled in the past, the ones they are making in the present and those that are in store for the future. Cherish this milestone date and make yet another beautiful promise as you celebrate your wedding anniversary. When you hold me close my worries disappear in thin air, which is one of the reasons why we make the perfect pair. When I look into your eyes everything seems so calming, just like the mellow hues of sunshine in the morning. When I kiss you my whole stops for a few blissful moments, giving me a sense of complete and absolute fulfillment. Happy anniversary. I didn’t know that fairies existed, until exactly one year back on this day – that’s when you became my girlfriend and magically made my life better in every way. Happy anniversary. Since the day you became my girlfriend, all my troubles have come to an end. Since the day I gave you a kiss, life has been nothing but pure bliss. Since the day I gave you my heart, my life has had a beautiful new start. Happy anniversary. I haven’t seen the future but if our past is anything to go by, it is going to be fantastic and romantic, amazing and exciting, heady and steady. Happy anniversary. Marriage is best relation between men and women in which Independence is Equal, D Dependence mutual and the Obligation Reciprocal. Hearty wishes 4 Happy Wedding Anniversary. Nothing in this world Could ever be As wonderful as the love You’ve given me Your love makes my days so very bright, just knowing you’re my darling wife(Husband). Happy Anniversary. In your eyes, I see my best self. For the harmony you’ve brought to our marriage. For the beauty you’ve brought to my life. Happy Anniversary. The world has changed a lot (and so have we!) since we first met. We’ve shared some sad and funny times and years we won’t forget. When all is said and done, there’s one unchanging thing that’s true-with every year, I find myself more thankful I have you. Happy Anniversary. Thinking of you both and wishing you all happiness as you celebrate the joys your marriage has brought. May your special day bring you many loving moments to share; moments you’ll remember long after the day has passed. Happy Anniversary To The Loving Couple. Was All You Said When You Proposed. And On The Top Of The World Since Then. Lets Win The World Forever Together. My Partner In Life, Spouse, Lover And Friend. I Long To Hug And Kiss On This Day. There’s None Other For Me. And Existence Of Obligation Towards Each Other. The Two Should Be Equally Independent. At Time Time Period Address. You Are More Beautiful Than On Our Wedding Day. What A Wonderful 10 Years It Has Been. I Am The Luckiest Person. It Means I Am Existing Because Of You. My Lover And My World. In Many Many Long Years To Come. For me each of the years that we have been together is like opening one layer of gift wrapping and discovering something delightful beneath. Cannot wait to get to the core of it. Happy anniversary. Your time together has proven your commitment. Days become weeks. Weeks become months. Months become years, and years become decades. Time has always been and always will be the most important resource in your relationship. I hope you enjoy many more years together.